Realize your long-cherished dream of self-reliance with horses through our unique business concept. Become part of an entrepreneurial network, with strong backing from experts and the reputation of a strong brand in equestrian sports! In professional and broad equestrian sports performance improvement, health prevention, improvement of regeneration, solution of current and chronic deficits as well as the strengthening of the constitution are a constant challenge. The EQUUSIR BEST-BOX has the solution. It generates a 360-degree view of the horse and detects even the slightest weak points. The horse owner sees what one otherwise cannot recognize. What makes the BEST-BOX so unique?? As a franchise partner, we offer you a proven business model that has already been successfully tried and tested in numerous cases and is being practised on a permanent basis. In addition, we support you as a team right from the start with a comprehensive service package – from initial training through marketing and sales documents to regular events for your further education. This is the foundation for your business start-up and a successful start into self-employment. Enjoy the benefits of being a freelance entrepreneur while feeling and using the security of a strong community – as a franchise partner of EQUUSIR you can do both. 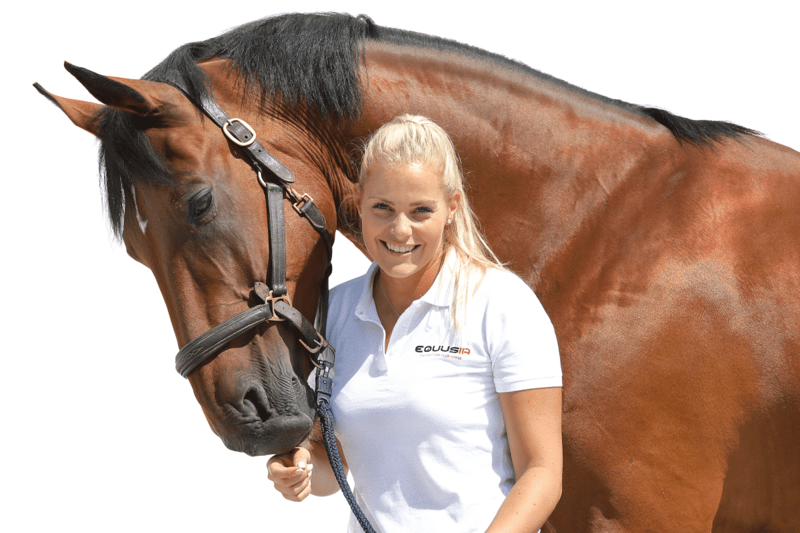 So you can plan safely, here you will find background information about the franchise partnership with EQUUSIR. As an EQUUSIR entrepreneur, you can rely on a strong franchise headquarters. For the best possible support and service! With our know-how and the personal strength of our franchise partners, we conquer the German and international market together. Our concept reduces your entrepreneurial risk and simplifies and supports your personal success as a franchise partner. Start your business with strong support! At the core of our system is the EQUUSIR BEST-BOX, with which we have developed a globally unique, successful business concept. The basis with our independent EQUUSIR entrepreneurs, the strong EQUUSIR brand, expansive marketing and innovative technology is the unique EQUUSIR concept. The opening of further EQUUSIR BEST Box locations is possible. Make sure you have a successful business plan in the long term! We shorten and pave the way to professional independence. We do everything we can to ensure that you are successful with us. Let’s reach your goals together! Become your own boss with EQUUSIR. There are many benefits for you. To use them for your own successful business, you should bring along certain personal qualities and skills. For the therapy of horses is to a large extent a matter of trust. Trust as a connection to the horse owner and to the horse are, apart from entrepreneurial thinking and acting, a core element. Certain qualifications and skills, such as sales skills, you need to bring as a future partner. You do not have to meet all these requirements. However, if you find yourself in much of these statements, we should get to know each other. Please contact us at any time on 09605-9199585 or send us your completed prospect questionnaire. To become a franchise partner, there should be some capital to start your business calmly and build a profitable business after a few months. Your income will depend on how much you personally engage and how intensively you look after clients with horses in your area. During your decision-making phase, our expansion department will actively assist you. Quality is one of the most important tools for customer satisfaction in dealing with horse and rider. The EQUUSIR franchise partner takes the central position in this context. Well-trained and highly motivated partners are the mainstay of our system. Become a partner is worth it! What do I have to do to become an EQUUSIR Therapy Partner / Franchisee? To give our prospects the best insight into the EQUUSIR franchise system, we have standardized our processes. Just take a look at our steps to make it fast and easy. If you have any questions, we are happy to help. We look forward to meeting you in person! You have contacted us – by phone, e-mail, social media, our website, met us at a tournament, at a customer’s site or spontaneously visited us. We will make a personal phone call, in which we will answer all your questions in detail. As part of a first several-day theoretical training and a practical training lasting several days, you will be prepared for the start. You will receive comprehensive information and training material. 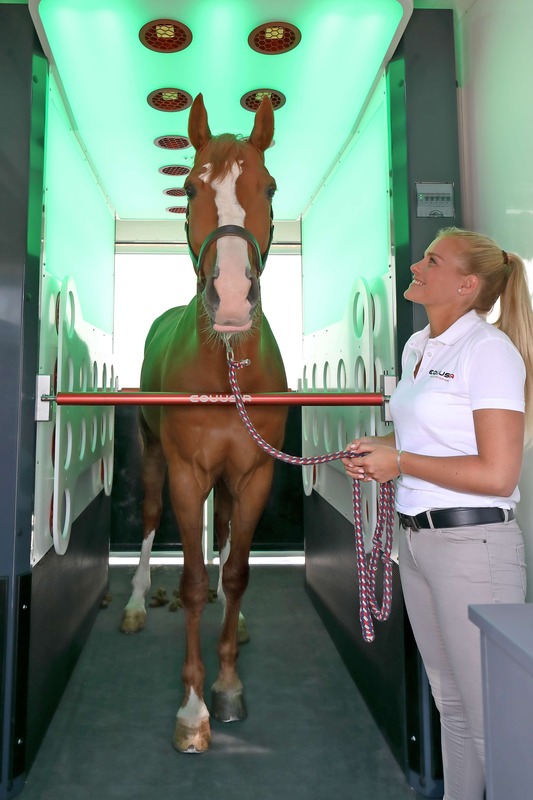 What makes the EQUUSIR BEST-BOX different from other forms of therapy? The EQUUSIR BEST Box is worldwide unique, innovative and a patented in-house development of EQUUSIR GmbH Austria. The BEST Box concept has combined insights from medicine, science and technology into an outstanding therapy that identifies problem areas at an early stage, improves performance and promotes health. The abbreviation BEST stands for Bio Energetic Scan and Therapy. In the BEST box it is measured in which energy state the individual body regions of the horse are. Each cell in the body uses various chemical and physical processes to keep the organism healthy or to heal injuries. Equusir supports the body’s ability to control its energy flows, functions and processes. After an initial analysis it becomes clear where the horse has complaints, deficits or blockages. Individual treatment is then given with infrared B heat and color light applications that have been scientifically proven. 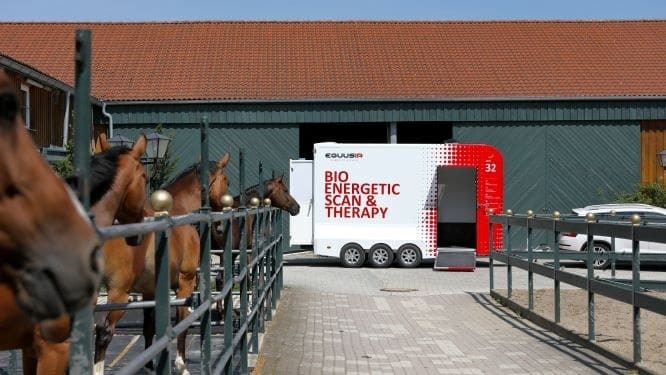 The mode of action is a quantum leap in the treatment and care of horses. What are my advantages when working with Equusir? You are accessing a working system that is well established and you have a defined region to look after. You will be actively supported from the first day and benefit from proven processes as well as regular further education events and tested marketing and sales documents. You use the know-how of experts, you participate in successful processes and products – developed according to the latest market knowledge. The intensive training and support for all questions from the very beginning to comprehensive optional certifications enable you to safely start your new business or start your own business. What does my daily routine as a therapy partner with the Best Box look like? In general, you take care of stables with existing or new customers in your region and independently schedule the respective therapy appointments. According to experience, up to five horses per barn can be treated so that you can take care of two stables daily. 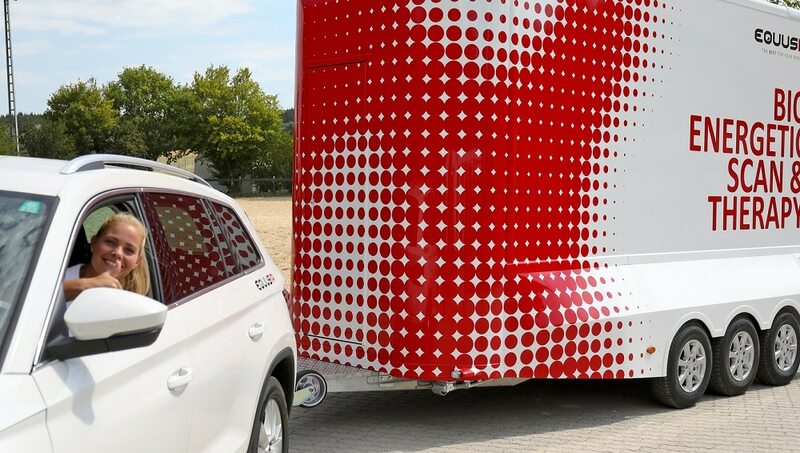 With the respective stable you only need an area for the trailer (7 x 3 m) and a power connection. The initial treatment per horse includes a software-based analysis plus a direct color light and infrared B-heat treatment and a downstream treatment plan. Follow-up treatments build on the initial treatment and the intensity and the number of treatments depend on the individual horse situation. How am I supported as a therapy partner / franchisee? Personally, from the first day through a Regional Manager and our Training Manager, who will help with all questions and the implementation of therapy appointments and customer care. With regular advanced training courses, workshops, organizational management and additional certification options. And with extensive marketing and sales documents as well as successful advertising materials. Which requirements should I bring? You should have gained pleasure in dealing with horses and possibly even first horse experiences. The well-being and improvement of the animal situation is important to you, and you are generally interested in health content. Ideally, you already know the most common diseases and have an anatomical knowledge. You have a strong personality that builds a good relationship with people and horses and that you just trust. You think entrepreneurially, are assertive and strong in organization and always realize the best possible results. You have enough energy and stamina for your independence and always keep a cool head in hectic situations. You like to work with people, bring a little sales skill and have the will to succeed. What does the procedure look like when I am interested in a franchise / therapy partnership? After contacting us you will receive a comprehensive information pack containing general company information, a brochure entitled “How to become an EQUUSIR Partner”, a prospective customer questionnaire and the European Code of Conduct for franchising. Then you send us your completed application form and a CV with the most important certificates. We call and answer your questions. During a first information day in our house you will get a look behind the scenes and a presentation of the business model as well as a first personal conversation. The second interview will take place with your future Regional Manager, who will provide you with ongoing support and inter alia training in your operational business. 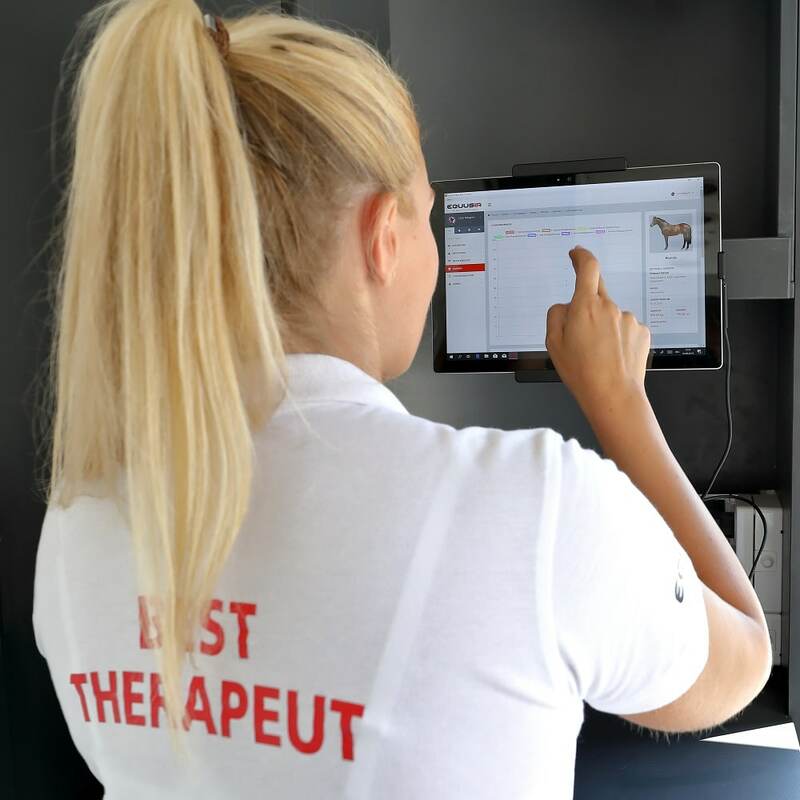 You get an insight into the daily routine with the EQUUSIR BEST Box and accompany an existing partner and / or regional manager in the customer care and the treatment of the horses. In a third conversation we clarify all questions about location possibilities, standard financial parameters for your planning as well as questions about the contract and license manual. After signing the contract and completing all training measures, you will start with EQUUSIR as a partner in a common future! How can I expand and grow my business? To increase your business you have the opportunity to divide your current region into additional therapy partners or to develop a second or third region. Your new therapists are either involved in sales or with a flat-rate daily rate with you. The training of a new therapist, like your own, is done by our training team. The training is mandatory, because only certified EQUUSIR BEST therapists are entitled to perform evaluations with the BEST box. With pleasure you can enlarge your region, your team and your business in this way. How does my training as a franchisee look like? You will receive from us a first training in the amount of theoretical and practical days of several days, which will be extended depending on personal qualifications by additional modules, depending on the level of knowledge. Quality is the most important factor for us, which is the prerequisite for best application results and lasting sales. Our training management gets to know you personally and takes care of all your open questions and concerns in the first step. 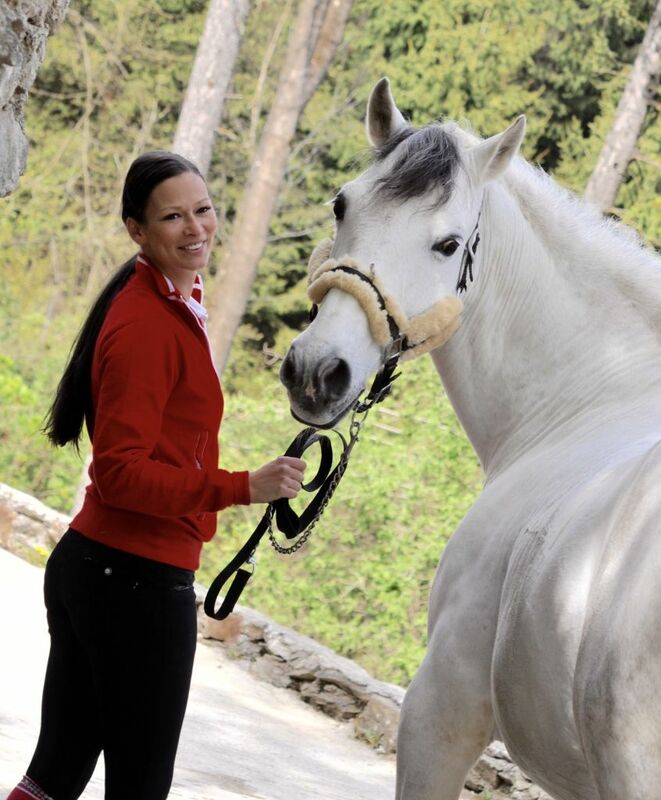 With the completion of your training you are officially certified EQUUSIR BEST therapist. We need a letter of application, a completed prospect questionnaire as well as the most important certificates for our documents. We are happy to call you in advance and send you a first information pack on the therapy / franchise partnership. How much do I have to invest and what does my income look like?